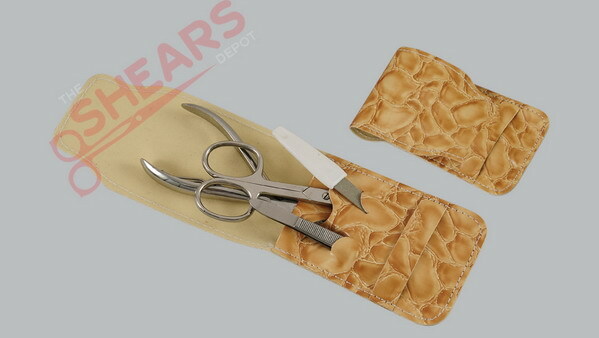 This manicure set comes in a Cream color casing made of crocodile imitation leather. Carries very high quality professional grade metal beauty implements inside. Can make an excellent gift item also.